Retirement is not always what most retirees expect it to be. Some people go through different experiences depending on how well they prepared for this stage of their lives. No matter how prepared some retirees may be, sometimes they still go through certain regrets that they feel they could have done better. Here are some of the common regrets among many retirees once they reach and have lived through their retirement age. Some retirees, in an effort to take advantage of preparing for retirement, end up having multiple retirement account at their disposal. But while this may seem okay for some, multiple accounts can be quite a headache to manage. A better option is to let a single financial institution handle your different financial accounts. This way, you can maintain the diversity of your accounts and still have it well organized. You can always have a financial statement or summary to update you on each account instead of receiving them from different separate sources. Some people may be tempted to benefit from a retirement fund way before they feel the need for it. They sometimes end up borrowing against their retirement fund for their current use. The cost of this goes beyond the actual value of the retirement fund. Early withdrawal of a retirement fund can result in penalties and taxes that people need to consider. It can considerably result in getting less money out of the retirement fund by the time retirees need it the most. Many people do not worry about their retirement because they always have their pensions to help them get by during their retirement. They fail to invest and save more money for their retirement fund, expecting their pensions to provide them enough of what they will need. But in today’s economic climate, pension alone may not be enough to cover for the costs of daily living. 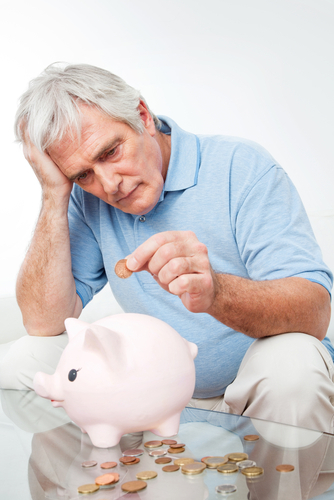 Many retirees regret not saving enough and only realize a little too late once they are already in such a dire situation.